A bit of red, a bit of looking ahead. 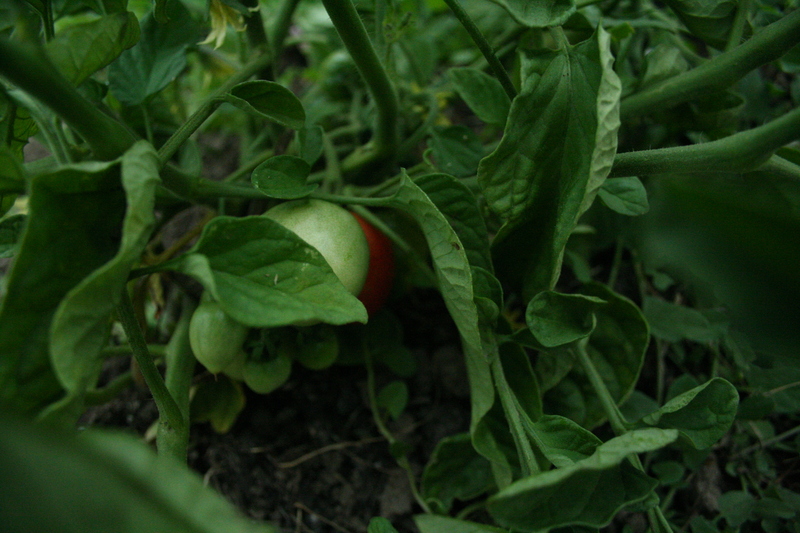 It’s hard to see, but hidden at the bottom of most of the early, Northwest tomato varieties and the smaller cherry tomato varieties is about 1-2 mostly red fruits, close to being enjoyed. The only question will be by whom…it seems like a CSA or market harvest still might take some time. Nevertheless, this is progress. Even though it is quite clear that this year’s icky late spring/early summer weather has delayed the amount of fruit that is on the plants so far, seeing some red in the tomato patch already is more than on time for us, it is even a bit early. The weather, now that it has turned summery, has held consistently, and most crops have more or less caught up with the season. The real question the tomato patch keeps nagging me with is what our heirloom tomato harvest will look like this year. These big beauties always take a long time to ripen even after they set fruit, and they are just now setting fruit. The other nightshades, although small in size, are super healthy and full of peppers and eggplants and will finish ripening in good time. It has certainly helped that these crops were planted in our lower field. This space has the best soil on our property, even though it is also under water or too wet to work from December through May (or in a year like this, June). Even with planting dates being so late for some of these crops, the fertility and tilth of this soil has helped everything down there grow faster than it would in our other fields. Besides watching for red in the tomato patch, most of the farm energy right now is directed towards the fall and winter garden. The growing spots are being worked up. 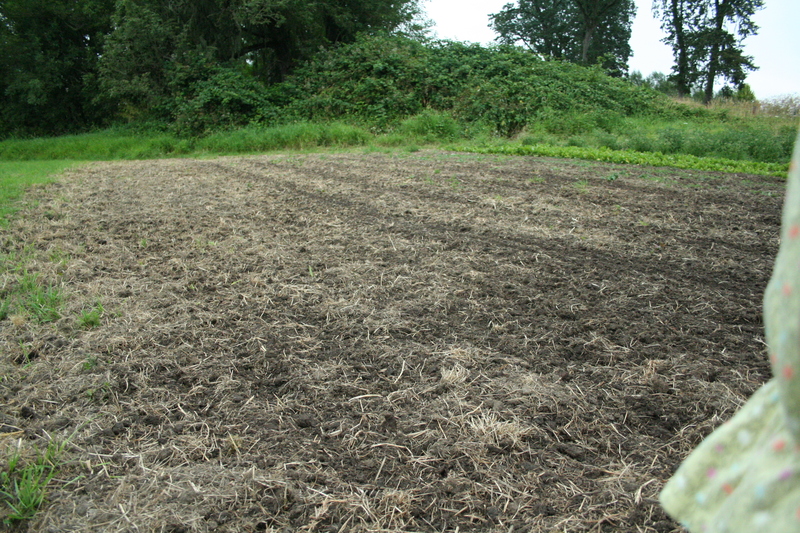 Most of the brassicas (broccoli, cabbage, cauliflower) are already in the field. New chards and kales sown. Soon, we will do winter greens, and before we know it, it will be time to plant the last round of our succession crops like carrots and beets and salad mix, as well as the fall root crops. I can’t even believe it! It is always so surprising when we get to our last planting date in August and the end of another season of putting seeds into the ground has passed. We really hope for an extended warm season to help balance the late start summer had. Even though the day length will shorten on schedule, the more warmth we get into September and October, the more ripe nightshades we will get, and the less we will have to worry about crops like the winter squash getting fully mature. For now, we are enjoying the season for as long as we have it. 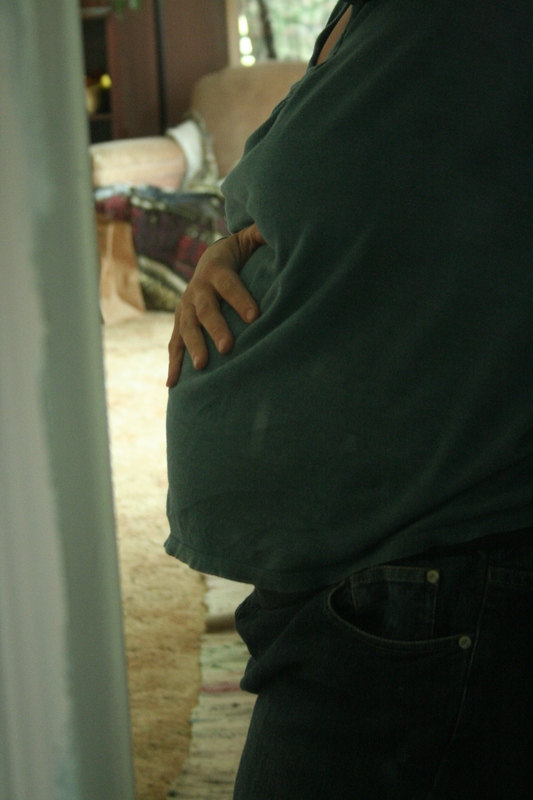 The baby is expected around the first day of fall, and that is just a bit over seven weeks away! I’ve never know a summer to go by faster, nor felt such unkind feelings for gray skies. I don’t want to see them back for quite a while longer; the sun feels too good! And there was never a season we needed a big fall harvest more than we do this year to make up for the small harvests we had this spring. Either way, we have our best crop of the year to look forward too come fall. Even the return of cool weather could not put a damper on that.